The C PG 130.2 high pressure washer is ideal for all types of infrequent outdoor cleaning tasks. The PowerGrip control offers great flexibility; it is perfect for anyone who needs a high performance versatile pressure washer. 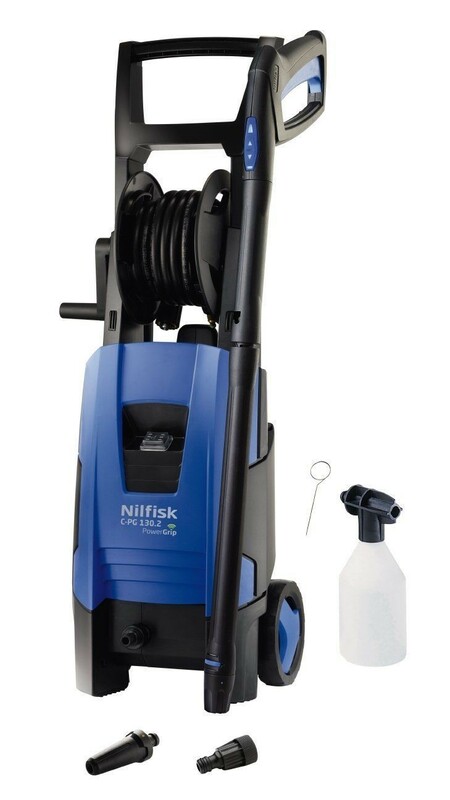 The Nilfisk PowerGrip allows you to quickly and easily adjust the water pressure for different cleaning tasks. The pressure can be adjusted in 7 steps - helping save water and energy. For the first time, you now have total control of your HPW right in the palm of your hand. The variable adjustment control is located right at your fingertips and is easily operated by an up/down switch. It works, because we’ve been able to make the PowerGrip communicate directly and wirelessly with the machine itself - no need to go back to the machine to make an adjustment! 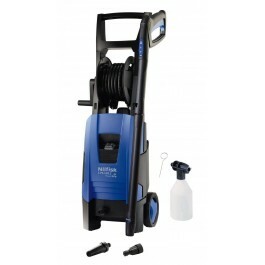 Not only does it give you all the power of an ordinary HPW it also opens up a whole new range of tasks you can use your pressure washer for. Those sensitive surfaces you once worried about cleaning, are no longer a problem. The trolley gives high mobility and it is designed to store all standard accessories. A wide range of accessories are available for this model and it is quick and easy to change nozzles with the Click & Clean system.